All deals subject to final credit approval; negative equity may affect savings or approval. ©2019 Strong Automotive Merchandising, All Rights Reserved. Special financing offers great financing options for potential buyers who may not qualify for standard auto financing because of lack of credit, past bankruptcy, foreclosure, or late payments. We know that times can get tough. Therefore, rather than stopping you from buying the car you need, Mike Calvert Toyota’s Financial team is ready to assist you in getting financing terms and payments you can afford. Don’t let bad or no credit prevent you from driving a high-quality brand new or pre-owned vehicle! Our auto credit specialists have access to a vast network of lenders and financial institutions who specialize in helping those that may have “less than perfect” credit. We don’t view you as merely a credit score. Instead, our professionals take other factors into consideration in order to provide you with the loan help you need. Whether you’ve got your eye on a new Toyota, certified pre-owned Toyota or one of the many other quality used cars we have in stock at our Houston, TX auto dealership, we’re here to help you. All it takes to get the process started is filling out our online financing application. With just a few pieces of information, we can get to work securing you the financing that you need to get your dream car! At Mike Calvert Toyota, we try our best to provide our customers with a wide variety of options when purchasing a new Toyota or used vehicle. People with unestablished credit (no credit) sometimes run into issues when trying to get car financing. At our Houston dealership, we have financial experts who are ready to assist you in finding the best financing solution for your situation. If you’re a college student who wants to buy a car, but you don’t have established credit, our Finance Center has options for you. We believe that no one should be barred from getting a new car for themselves, regardless of their credit history or lack thereof. Whatever your credit situation may be, you can count on being treated with courtesy and respect throughout the entire process when you visit our dealership. We’ve assisted thousands of buyers from the Spring, Sugar Land, and Pearland areas over the years in situations like these and know that the financing process itself can be stressful. Our goal is to make it as efficient and hassle-free as possible when you choose to do business with Mike Calvert Toyota. If you’ve had a few credit issues in the past, Mike Calvert Toyota is here to help you. Special financing options are available for car buyers with lower credit scores or no credit. We want to make sure that every buyer has ample opportunity to purchase a car. At Mike Calvert Toyota, you can rest assured we will do our best to get you the financing you need. Our financial experts are ethical and honest. We never push you into a vehicle that you don’t really want because it may increase your chances of credit approval. After all, if you don’t drive away in the car, truck, van, or SUV you want – you’re not going to be happy in the long term. We’re committed to getting you the new or used vehicle you want with affordable financing options. Fill out our online financing application, or for personal attention and help feel free to stop by our dealership located at 2333 S Loop W, Houston, TX 77054. 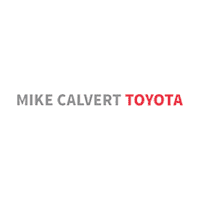 Mike Calvert Toyota is ready to go to work on your behalf today!